The first time that I knew about this iconic Running Event held in Japan was when a group of Filipino runners joined this event 3-4 years ago and it did not create any “noise” or “trending” on the Internet. If I am not mistaken, this is a running event which popular among “Skyrunners” or maybe, among “mountaineers”. 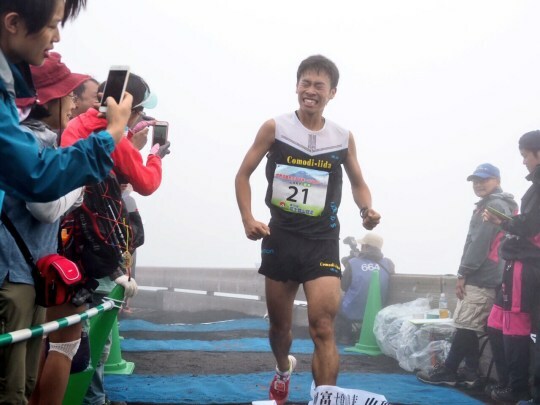 I am not even sure if these runners were able to reach the Finish Line (Summit of Mt Fuji) within the prescribed cut-off time of 4:30 hours. To add mystery to this event, nobody is “bragging” or let me say, saying that they have joined or finished this event. It could be that they are not my friends on Facebook or subscribers or readers of this blogsite. 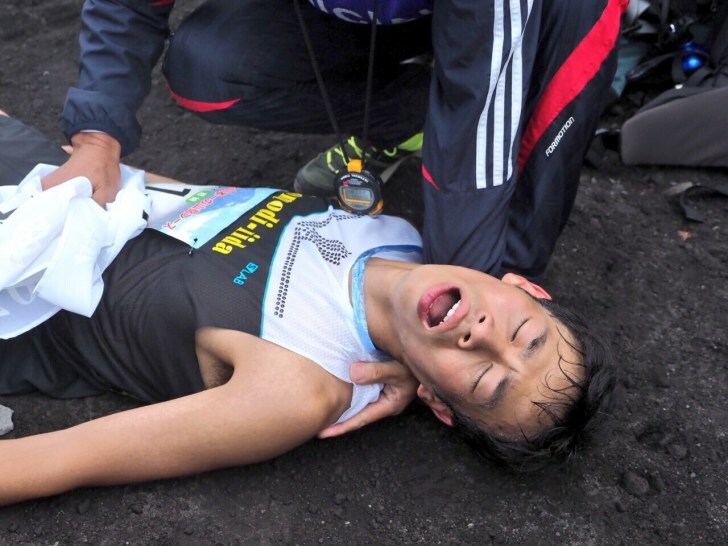 After I have finished the Tarawera 100K Ultramarathon Race in Rotoura, New Zealand, I’ve read a story or article about a New Zealander/Kiwi Runner who won this event who happens to be a Olympic Gold Medalist in middle distance running. The said Olympian also won in one of the past editions of the Jungfrau Marathon Race in Interlaken, Switzerland. Through this Kiwi Runner, I was inspired to have a try on these two running events. Through its Website, I was able to find out the details of this race. This year, 2017, it will be the 70th edition of this race which means that this running event was born 2 years after the defeat of Japan during the World War II. It was a period when the US Armed Forces had ruled over the whole country of Japan. I believe that the US had no influence on the creation or birth of this iconic running event. However, I strongly believe that the Japanese people came up with an activity/event that will boost their morale, thus, a running event to unify the Japanese people to the peak of the highest mountain in their country which they consider as their nation’s symbol & sacred place in addition to the the “rising sun” in their national color. This running event will be held on July 28, 2017 (Friday) and I really don’t understand why this iconic event is being held on a working day and not on a weekend. There is no point in asking such question or concern to the Race Organizer, which is the Mayor of Fujiyoshida, Japan. There must be a good reason for the Japanese why this race is being held on a Friday. It is specifically mentioned in the Website as to when will be the opening of the Registration Period which is March 21, 2017 at 9:00 PM (Japan Standard Time) up to March 23, 2017 at 9:00 PM (JST). The registration period closes after the desired number of participants is attained but only fifty (50) foreigners are allowed to join this event. There are two (2) races: The Summit Course which is a 21K race from the City Hall of Fujiyoshida to the Peak of Mt Fuji; and The Fifth Station Course which is a 5K race from Umagaeshi (Km #10) up to the Fifth Station (Km #15) along Mt Fuji’s slope. The Summit Course has a registration fee of 15,000 Yen while the shorter course has a registration fee of 10,000 Yen. 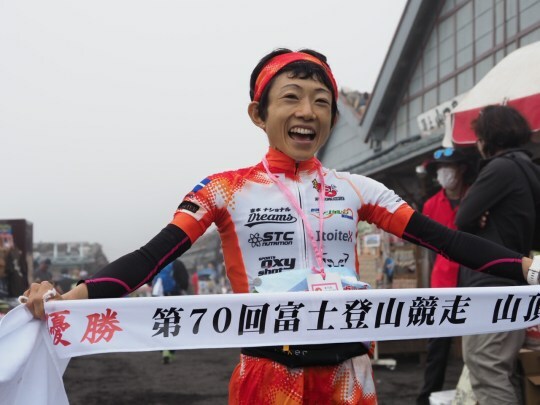 The race starts in an elevation of 770 meters and finishes at an elevation of 3,776 meters which is the elevation of of the peak of Mt Fuji. The cut-off time at the Fifth Station (Km #15) is 2:15 hours and the cut-off time at the Finish Line (Peak) is 4:30 hours. What is the award if one finishes the Summit Course? A Finisher’s Shirt Only! This is a Finisher’s Shirt that is worth preserving in a nice picture frame!!! Not so fast on thinking that I would be able to finish this race! But first, one has to be quick and fast also in making sure that you are registered to this event! I was in the United States when the registration period started and I have to wake up at 4:00 AM on March 21, 2017 (JST is +15 hours from the PST) and ring my alarm just to be sure that I would be awake before the opening time and then register immediately once the registration button turns on! At exactly 5:00 AM (PST), the registration button turned on and I immediately registered to the Summit Course Race. It was problematic at first in paying the Registration Fee because all Foreign Runners had to pay through Pay Pal. Since I don’t have any previous Pay Pal account, I had to create one on the spot! After almost 30 minutes creating a Pay Pall account and answering and filling-up some questions online, I was able to get in as one of the participants from the limited number of 50 foreign runners! I went back to sleep after I have received a confirmation message in my e-mail that I have registered and while I was having my breakfast at 8:00 AM, I was surprised to see that the Registration for the two races was already CLOSED! The registration was supposed to be in 3 days but it closed after 3 hours of registration! I found out later that the Race Organizer usually cap this race up to 5,000 runners to include the 50 foreigners! The most significant question that was asked on the registration form is my last 3 Marathon Races with finish times below the 5-hour limit. I mentioned my sub-4 hours MILO Marathon finish; Condura Skyway Marathon Finish (sub-5 hours); and my latest 2017 Los Angeles Marathon (4:24+ hour) a week before. I was happy that I was able to get in among the 50 foreigners to join this race. And from that day, I started to browse on the Internet on posted stories and blogs of runners who joined this race for the past years. From these of stories of DNFs and successful finishes, I was able to gather some data and information on what to expect during the race. I would gather also suggestions and advise on the things on what to do during training/preparation and the things needed in order to meet the challenges the mountain have to offer to each of the runners. Looking at the tabulated course of the event, I could not imagine how I would be able to finish this event! The only way to find out is to take the challenge and make the necessary training and preparation. Last week, I was able to receive a Congratulatory Letter from the City Mayor Fujiyoshida for being one of the 50 foreign runners and participants in the 70th edition of the Mt Fuji Mountain Race. The letter was sent through the mail which the Race Organizer started sending to all the participants since last April 2017. I am on my third week of focused training and I am very positive that I am becoming a stronger and faster mountain runner! Wish me luck!